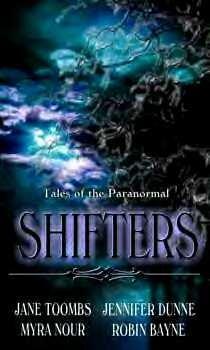 If you like shapeshifter stories, we suggest you try Shifters. Available now as a trade paperback. Click the image on the right for more details. Surgeon Cole Jackson and Paiute intern Destiny Moon are meant to be together, so says the Ouija board and its user, Cole's six-year-old daughter, who is determined to find a new mommy. Is Destiny the one? This is a story for all Believers who are concerned about a Santa Claus that doesn�t represent their family. This story is one of diversity on many levels: ethnicity, gender, generation, adoption and tradition, among them. It tells how the diversity began, about the elves and why Santa lives where it�s so cold! Click here to read more about The Santa Claus Story. Harassed by coworkers. . .haunted by the dead. Leslie's craving for security thrusts her into an alternate world ruled by fire and demons. Or just click the image on the left to read more. ". . . a lifetime of love left behind, an attic full of tear-stained letters and a heart-wrenching struggle of a woman torn between her husband and the one who walked away with her soul..."
Visit www.TheRomanceWriter.org "Writing the Romances that touch the soul." Embark on a subtle journey with Tracy Crudup through the pages of Romance in her latest novel, The Hat Box, and soon to be released, The Mist of Mineral Springs. Click the icon on the right to view Michelle Hauf's wonderfully comprehensive list of vampire books. Reading Tastes Run to the Eclectic? 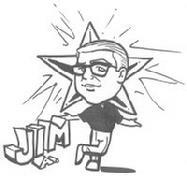 Click the link on the left to visit Jim Agnew's Book Picks of the Week, and I'll guarantee you'll find something new and different among his selections.